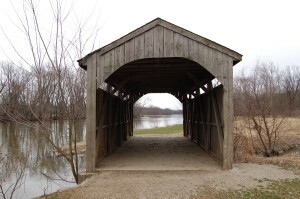 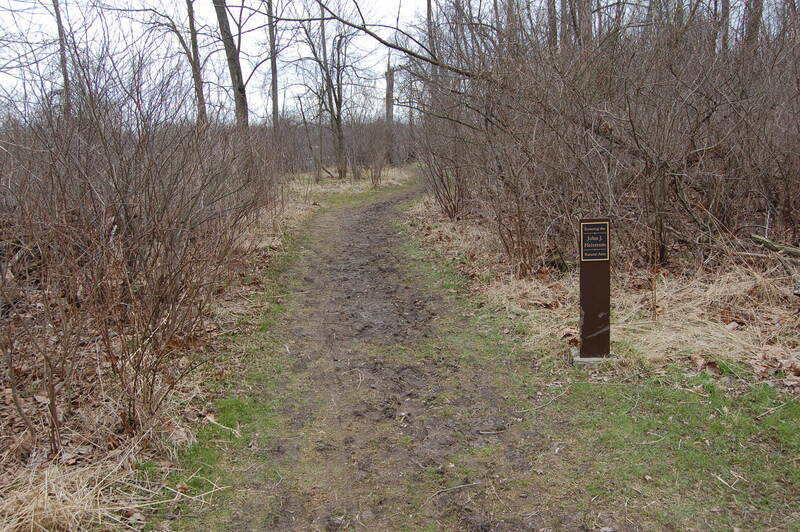 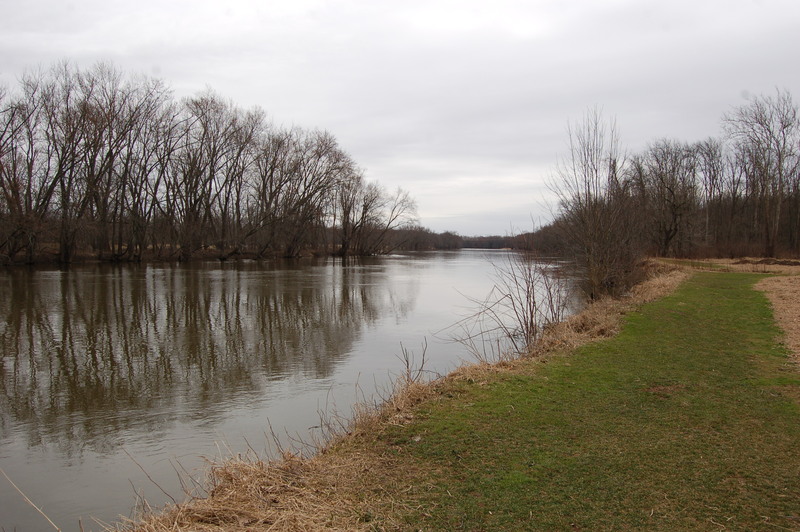 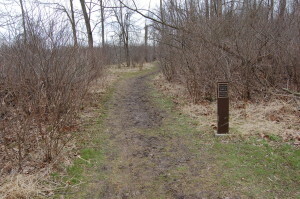 Michigan Trail Tuesdays is a new feature that will showcase a different trail or trail segment each week. 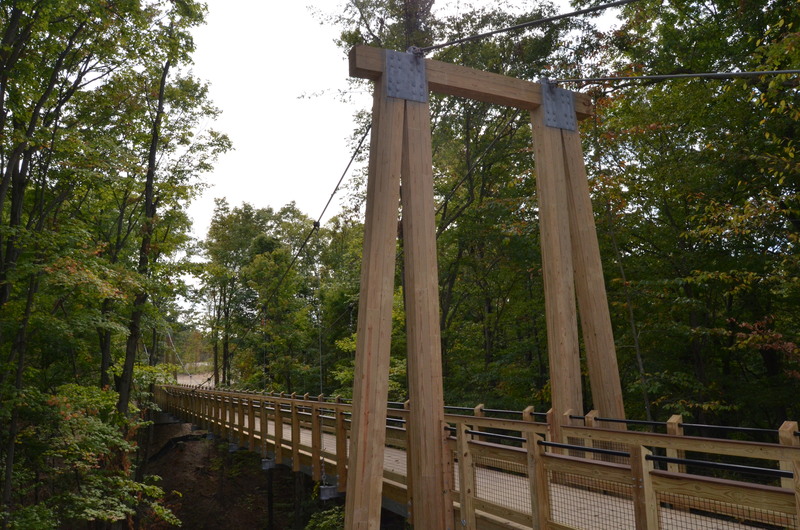 The Mitten State is home to thousands of miles of trails, including the new Iron Belle Trail that runs from Detroit in the southeast to Ironwood in the western Upper Peninsula. 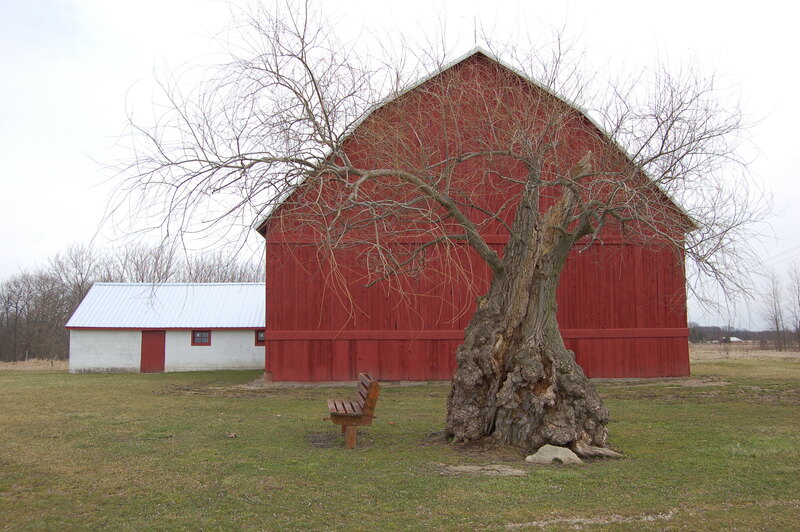 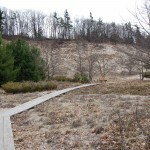 The Grand Ravines north property lies just south of Grand Valley State University. 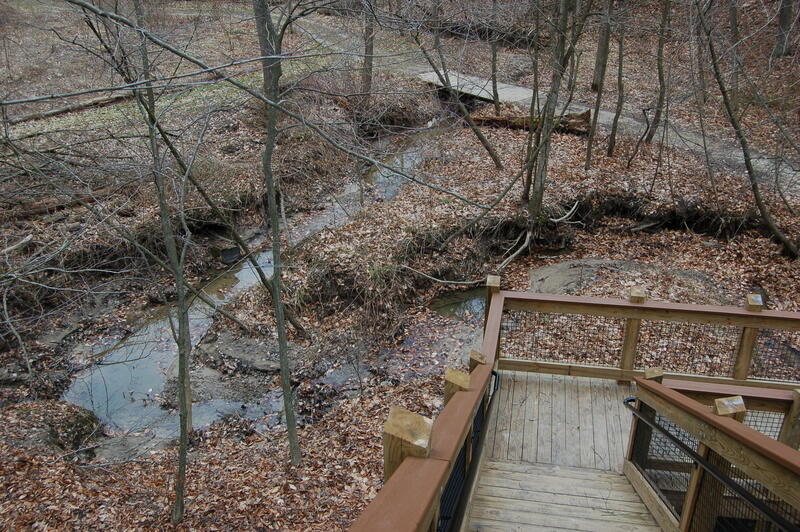 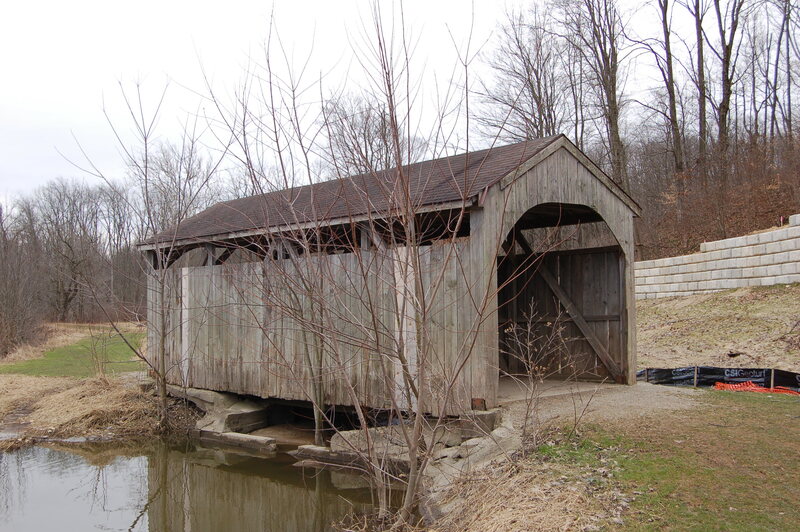 Highlights include an observation deck that looks into the ravine (shown above), a covered bridge, a lodge that is available for rent, and a network of trails that follow alongside the Grand River, through meadows, and into the woods and the ravine. The ravine overlook and most of the meadow trails are level and very accessible, while the trails that lead into the woods and the ravine are a bit more challenging. 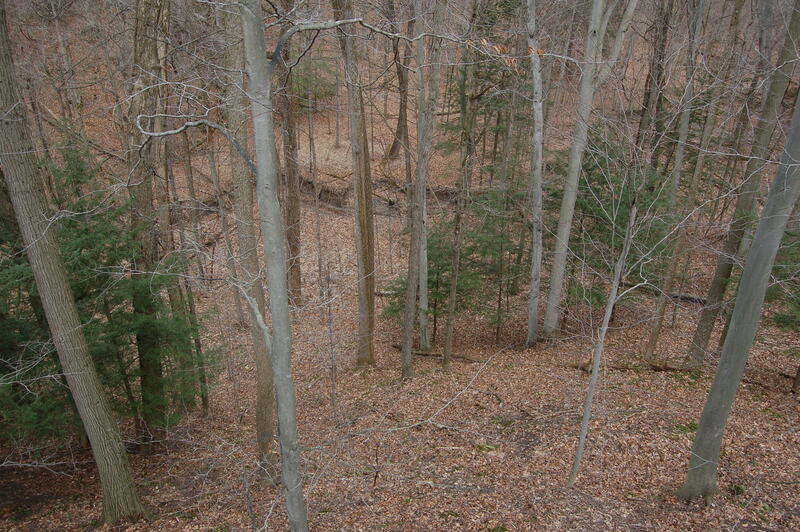 Keep your eyes peeled for various species of birds, plants, and small mammals. 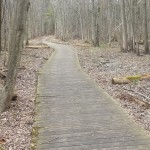 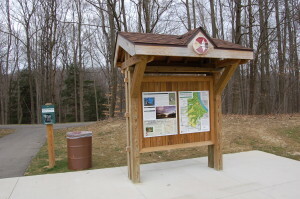 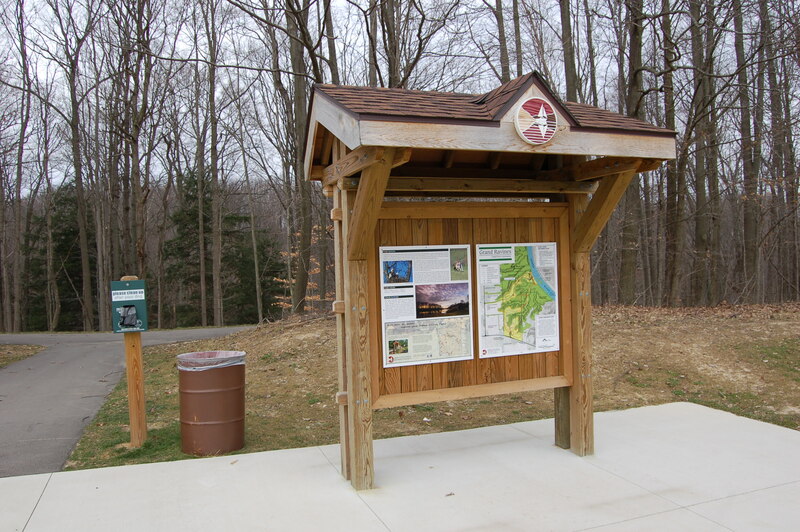 More information about the park and trail maps can be found at https://www.miottawa.org/Parks/fillmore.htm. 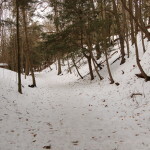 We took the path through the ravine in the early spring, as many of the trees were still bare. 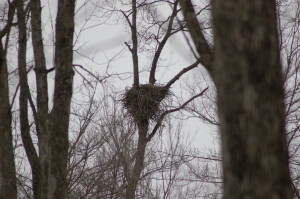 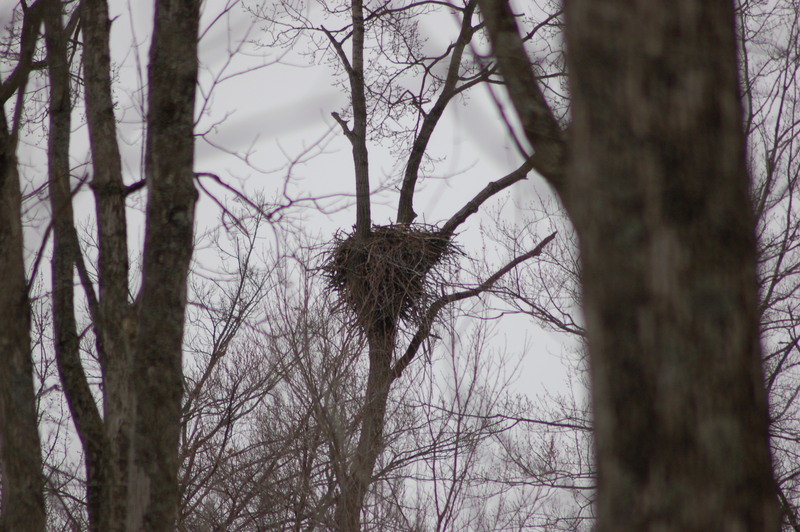 This helped us get a good look at a bald eagle nest located near the river, and also helped show off all the features of the ravine. 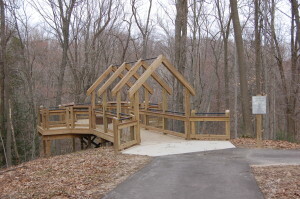 There is a set of stairs that helps the trail make its way back up the other side of the ravine, providing a much better view before the trail meets the connector to the south park. 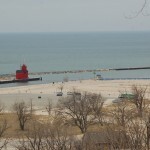 Grand Ravines South is home to one of West Michigan’s best dog parks. 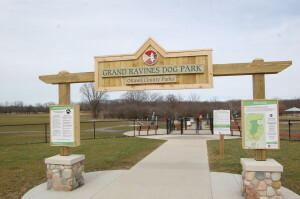 With separate sections for small and large dogs, fenced trail for off-leash walking, a dog wash and more this 21-acre park has quickly become a favorite for pet owners in Ottawa County and beyond. 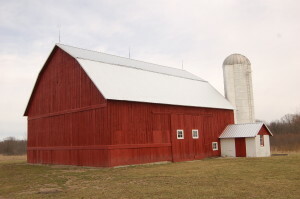 The south park is also home to the Fillmore Barn, a “gambrel roof, four bent barn with concrete block additions that has been a landmark along Fillmore Street for over 100 years.” The barn is a popular backdrop for photos and preservation efforts are ongoing. 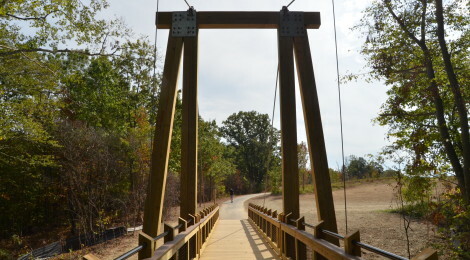 The easiest way to reach the new suspension bridge is to park at the dog park and follow the trail that goes around the east of the restroom building. 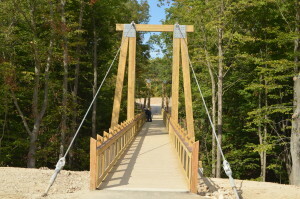 The fully-accessible trail is wide and freshly paved, and the bridge will be reached after about a quarter-mile of hiking. 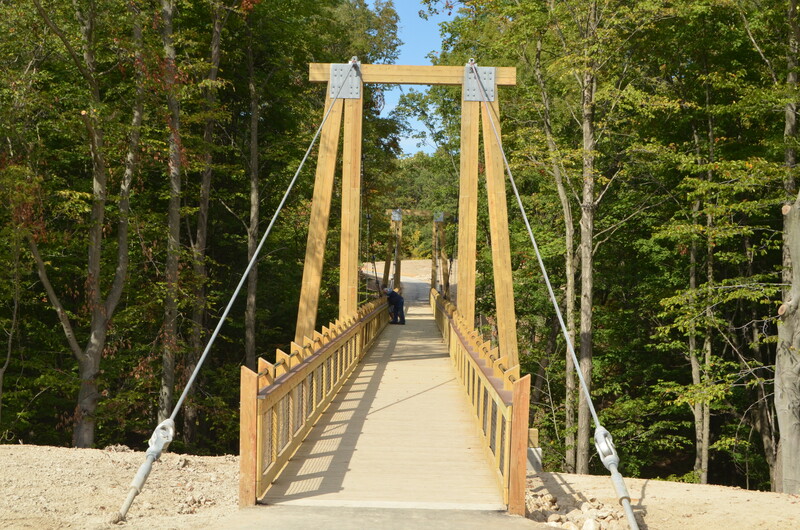 This new addition to the park provides easy crossing of the ravine and some great views – it will no doubt be a popular spot in the area once fall color starts to pop. 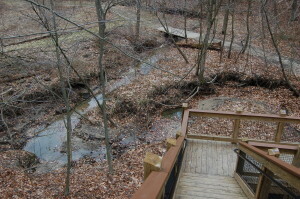 From the bridge, the trail continues on to the north park or meets a trail that loops back around to the parking lot.